Centre drills are usually double sided drills with a 60' stepped point, held in a drill chuck or collet chuck in a lathe. The purpose of the centre drill is to create an accurate centre hole in the face of a job so as a live centre can be inserted to support the weight and load of the job, whilst turning it. Longer jobs generally require a live centre from the tailstock of the lathe to support the job, which prevents chatter and run out. Centre drills can also be very useful in spotting or starting a precise hole, which will also give a chamfer on the hole; ideally used on the edge of round bar. 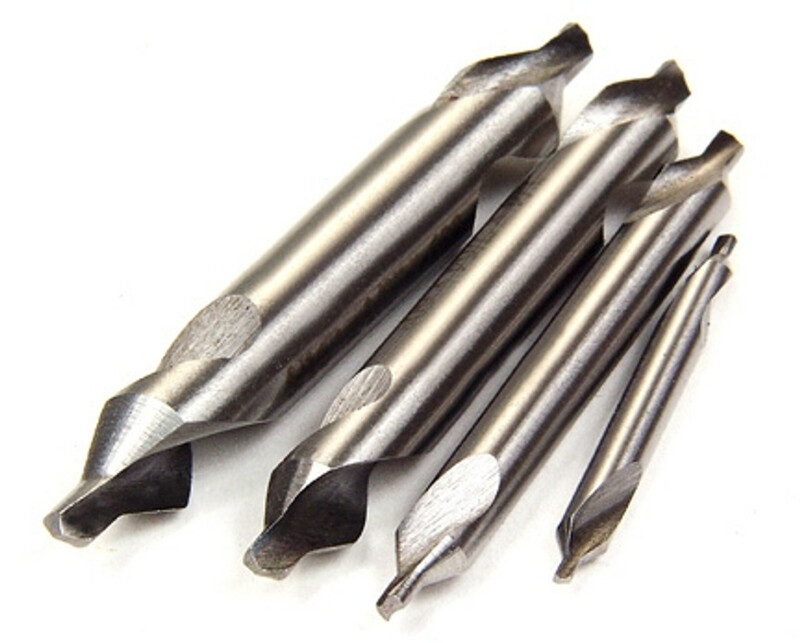 CNC spotting drills can be used for similar work, however spotting drills do not offer the step required for a live centre's spindle point to rotate freely. Centre drills come in British Standard Sizing in Australia ( No.1 - No.6); eg. No.3 centre drill; are also available in metric sizes.